The billionaire’s rocket plane will carry six fare-paying passengers just above the atmosphere to experience a few minutes of weightlessness. But the vehicle has been designed so that its seats can be removed easily and the space filled with science gear. Passenger flights should begin in 18 months or so; research sorties could start soon after. The US space agency (Nasa) has already chartered the rocket plane. "It’s likely we might do some science flights quite early in the programme," explained Will Pomerantz from Virgin Galactic. "Nasa is certainly eager to get their flights conducted – the ones they have already purchased. "It may also give us some additional time to show off the reliability and the operations of the vehicle, which would give our tourism customers even more confidence. "I think that if they see a Nasa flight has gone up and gone well, that will make them feel better about their purchase," he told BBC News. Mr Pomerantz was speaking here at the American Geophysical Union (AGU) Fall Meeting, the largest annual gathering of Earth scientists. 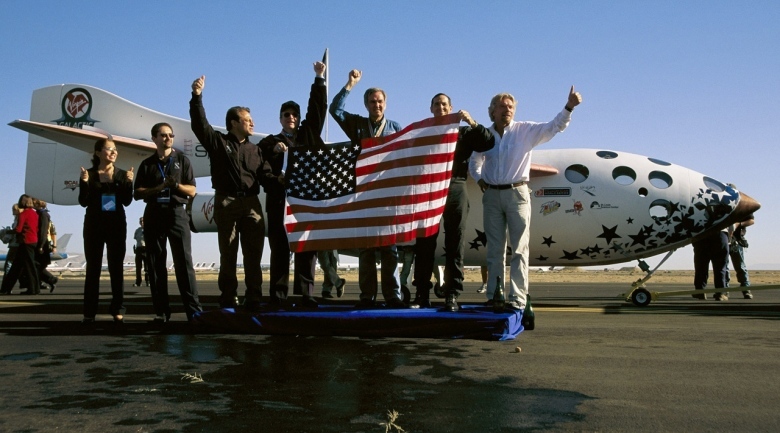 His intention was to inform this community of the capabilities of SpaceShipTwo (SS2), as the vehicle is sometimes called. The Virgin executive said geoscientists might want to use SS2 to pursue a range of research fields, including atmospheric chemistry, climate studies, space weather, or even to carry out simple Earth imagery. The ship will have 43cm-diameter (17in) windows with high quality glass through which to point camera lenses.